EastEnders star Rita Simons has predicted that Roxy Mitchell will not cope well with her new role as the Queen Vic's landlady. Roxy was officially revealed as the iconic pub's new owner last week at her late father Archie's will reading. Simons calls for more Walford "fitties"
Amira and Syed's marriage over? 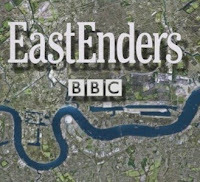 Steve McFadden to quit 'EastEnders'? Video: E20 Who's The Daddy? Video: Who Got Archie's Fortune?